•AC motor have two types one is Induction motor and second is synchronous motor. •Induction motor have two types one is single phase induction motor and second is three phase induction motor. •Single phase induction motor is not self starting and three phase induction motor is self starting. •Based on starting method single phase induction motor is further divided into four types one is Split phase induction motor second is shaded pole induction motor and third is capacitor start induction motor and fourth is capacitor start capacitor run induction motor. 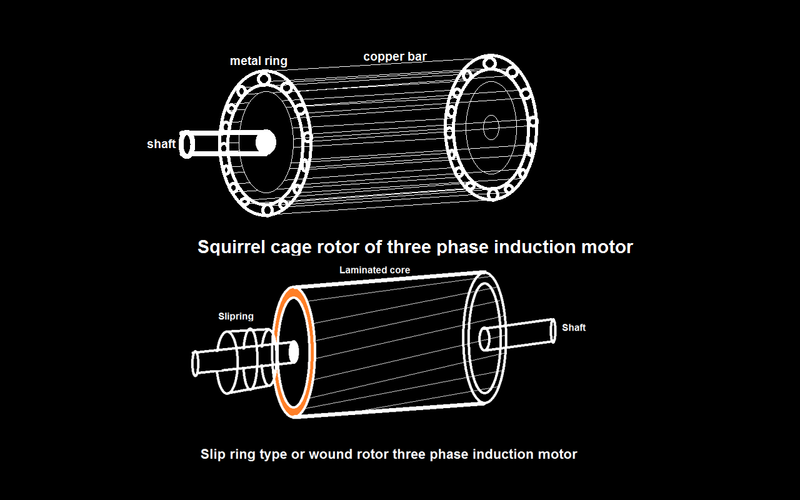 •Three phase induction motor have two types of rotor one is slipring type and second is squirrel cage type. 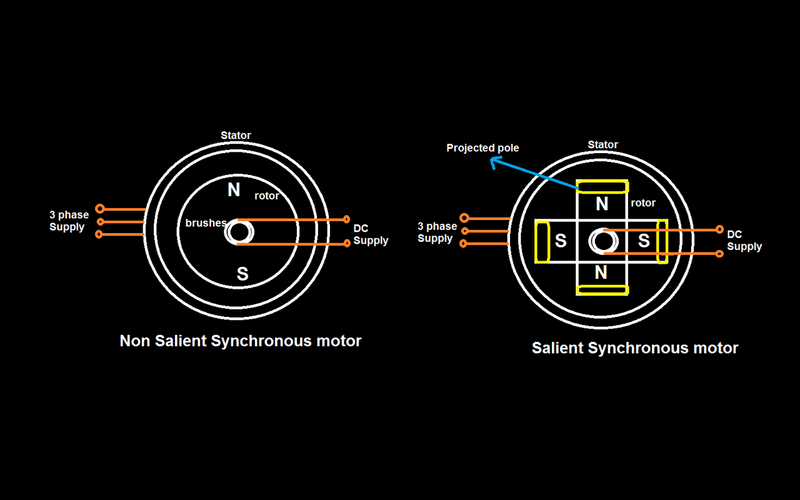 •Synchronous means rotating magnetic field and rotor rotation speed is same. •Synchronous motor have both AC and DC supply stator have three phase AC supply and rotor have DC supply. •Synchronous motor is use for constant speed. 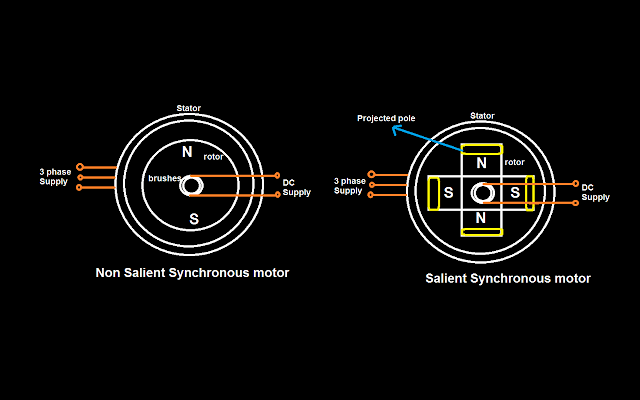 •Synchronous motor have two types of rotor one is salient pole (low speed) and second is non salient pole (high speed) rotor. •Synchronous motor is use for constant speed motor purpose and it is also use for power factor improvement device (called synchronous condenser). 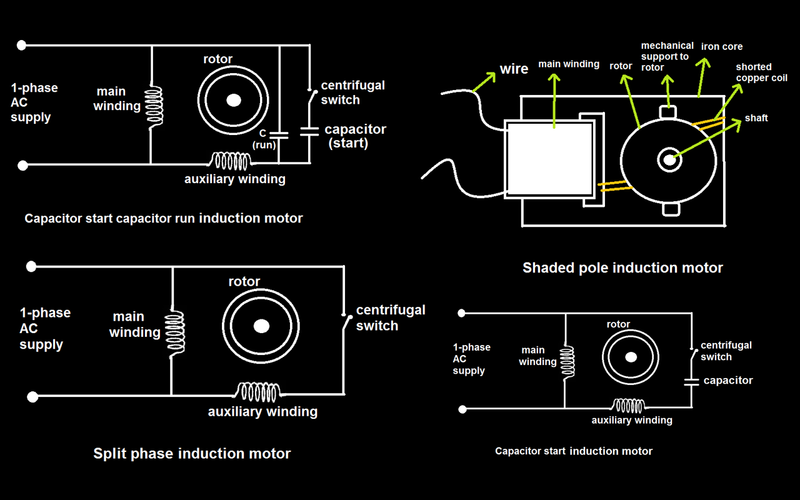 •Synchronous motor is not self starting motor so using external motor or we have to start it as induction motor.